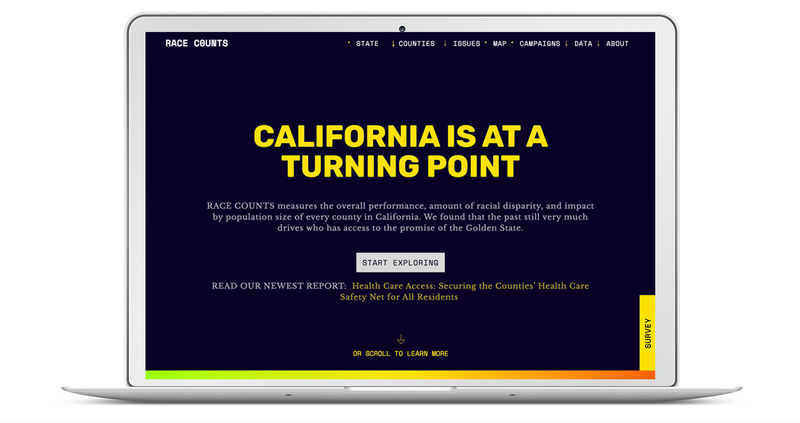 The ask - "We have over 300,000 data points spanning every county in California across 60+ indicators, across all races, that we need to present in a compelling way. 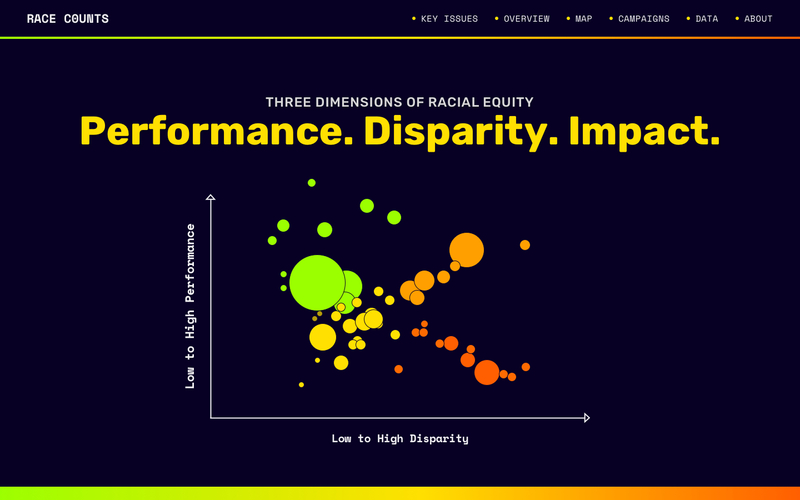 It must be easy to navigate, easy to compare and provide key messaging when necessary"
Superfame worked closely with the Advancement Project CA to create this beautiful and highly functional tool that can walk you through these data points which quantify and bring to life racial disparity and performance across all counties in CA. New York Times - California Today: How Progressive Is the Golden State?